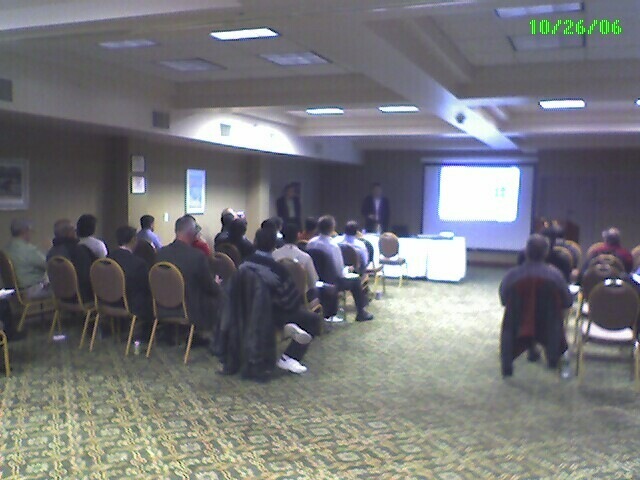 We welcomed 45 attendees at Comfort Inn & Suites for our October 26th meeting. Anne Saile, President and CEO of Bellevue Woman's Hospital in Niskayuna, NY presented on the growing role of information technology in the field of medicine and in the healthcare industry. Following the presentation we had social networking with members of the Capital District WebSphere User Group, Java Developers Network, XML Developers Network and the Tech Valley Information Technology community. Following the social networking session, we had a technical presentation from IBM on Service Oriented Architecture. We would like to thank everyone who attended the October 26th meeting, and would like to invite everyone to our next meeting.